A partnership agreement can be amended at a different date should circumstances change. 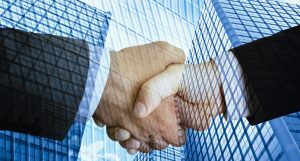 Another important step in the process of creating a partnership is to obtain any business or professional licenses depending on the type of business the partnership will engage in. The State of California provides a comprehensive database of every profession that requires a license by a partnership. It is also important to ensure any local regulations, including licenses, building permits or zoning clearances are obtained. Partnerships that wish to have employees will need to obtain an Employer Identification Number, or EIN. Finally, in California businesses are required to report taxes and file various employee reports. When creating a partnership in California, we recommend that you contact our San Jose corporate lawyers at Structure Law Group, by calling 408-441-7500 or emailing us to discuss your own particular situation.